As you might already know, my passion since losing my weight is running. A lot of the things I discuss in my blogs will be about weight loss, motivation, encouragement, fitness and of course running. Not everyone will be interested in running but in my blogs some of the points I try to make within running can be brought into any sport that you follow or any situation in life. There are several marathons coming up over the next few months, and even some people are planning already as far ahead as the Dublin Marathon in October! A little sooner on the horizon for many of the Why Weight Ireland runners and walkers is the Kildare Marathon, Half Marathon and 10k! As the training increases now and hits its peak I am going to give some tips on the importance of your taper and some tips to keep in mind for when race day comes along. As I mentioned the Kildare Marathon is coming up on May 12th – I know a lot of people who read my blogs will be taking part as well as many members so well done, you are finally on the home straight! On Saturday I was asked to give a talk at the Kildare Marathon Open Day and it was a fantastic opportunity to meet those involved in organising the great event while also getting to chat to people who were training and competing in their first race. I spoke to several first time marathon and half marathon entrants and was great to hear how their training was going and even better that some were using my training plans. John O’Regan also spoke on the day about his amazing journey to becoming an Extreme and Ultra Marathon Runner and running for Ireland in Trail, 100K and 24-hr Races. You can follow John’s amazing running adventures on his blog click here. The Open Day was a great success and just like the race day itself, it was well organised and it was a pleasure to be part of it. Oh and the Arts & Crafts stalls at the open day were amazing – I could have sat there all day eating the cakes and home made fudge…yummmm so I will definitely be visiting the stalls again after the race after working up an appetite racing! With just 5 weeks left before race day and the hardest part of your training plan in terms of mileage coming up, you do have a sigh of relief on the horizon; oh yes, the oh so wonderful taper!! There may be a few niggles starting to crop up and the thought of your long run at this stage may be starting to fill you with dread – but fear not, you are almost done and believe it or not most of the hard work has already been done in all of the previous weeks so far! You SHOULD have already been doing this by now……but if you haven’t please, please, please start practising your race drinks and fuel on the last few of your long runs. 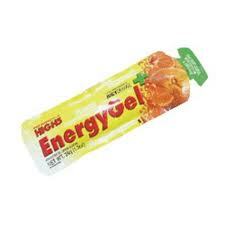 If you have been using a particular brand energy gel, then STOCK UP so that you are not driving around in a panic trying to find some the week before the big day! And if you haven’t yet started taking energy gels or snacks on your runs make a decision as to what you will be taking and get your combinations and amounts all ready and tested. Do NOT decide to try a different approach, order or do anything else different on the big day. Your tummy will likely be in bits as it is so the slightest change on race day could spell disaster! Get your family, friends, work colleagues and frankly absolutely anyone who is willing to stand around the course to cheer you on! If you can arrange to have people planted strategically around the route this will greatly help you in achieving your goals! In one of the previous blog posts I discussed breaking up the race into smaller segments and the same principle is absolutely more crucial in the marathon. Having friends and family scattered around the course will mentally help you break up the race so you can tell your self “in another 3 miles there is a water station…then in another 2 miles is the family and…only another 2 miles and another water station and then your friends…and so on” Before you know it you will have flown around and will be on the home straight! So make sure everyone has his or her calendars clear for your big day! Long runs, and training in general are possibly starting to get you down a little at this stage. You still have the toughest weeks to get through and mentally it can be tough. I know for me on my second 20 mile run I had a near meltdown at the side of the road at 4 miles, 6 miles, 9 miles, made it to 12 miles before stopping again and calling my husband telling him I couldn’t do it (word of advice do NOT take your phone with you…it will only mentally pull you into thinking you actually have another option other than run!!) before making it very slowly to the 15.5 mile mark where hubby met me in the car. He told me that he’d been onto my running coach telling him I was having “issues” and the verdict was I could come home….BUT I would still have to do the 20 mile run in another 2 days AHHHHHHHHHHHH, well sod that I think to myself getting out of the car again in a foul mood and cursing the thought of ever running again I continue to complete the run (well 19.6 miles……I lost 0.4 of a mile in the car while I was deciding whether to continue or not!). ANYWAY – I suppose what I’m saying, is don’t despair. We all have days where running is just the last thing we think we can do. Marathon training is tough, but that is why it is such a massive achievement! Remember all of the reasons why you started training in the first place, imagine how great you will feel crossing the line and just keep plodding away! A second note on not despairing (probably because at this stage of the marathon training schedule I am usually getting my knickers in a twist about something or other!) INJURY! If you have managed to pick up a niggle or an injury – don’t despair! You still have time to recover, you have still got a good amount of miles already into your legs and you can STILL complete the marathon! However, what you may need to do is re-evaluate your expectations on time. If you are aiming for a specific finish time then this may need to be adjusted to take into account the reduced training and mileage while recovering from injury. Get some physio, ice it, rest it and don’t push too hard. Even if you are not attempting the Full Marathon – the exact same principles apply to all the various distances at Run Kildare or any race! The most important thing is to ENJOY it! The only person you have to compare yourself to is yourself so take your race at your own pace. The best thing about running is the personal achievement that each and every person gets crossing that line. Regardless of whether you achieve a personal best or not – you will know that you achieved the best thing of all, and that is getting out there and just DOING IT! I am really looking forward to meeting people at the race – so come over, don’t be shy and say HI! 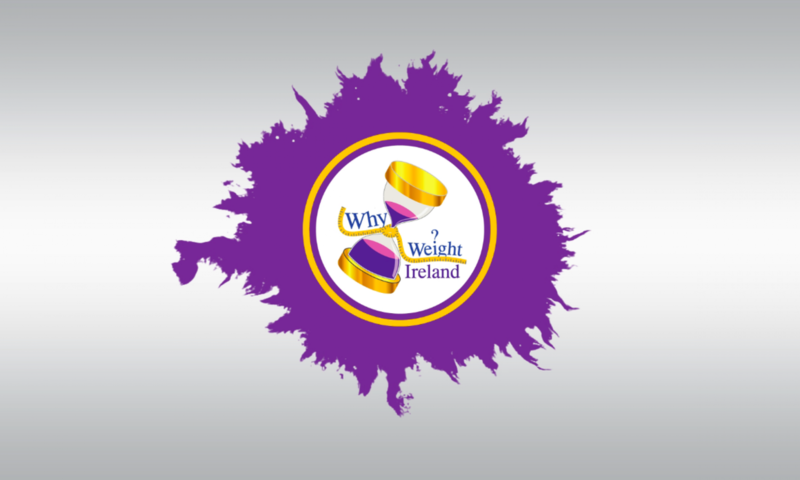 Thanks to your previous feedback I am now in the position to offer everyone 2 Days FREE access to Ireland’s best online food & exercise diary 🙂 Click the link below to be brought to the diary home page where you can click on Take a 2 Day Free Trial – once your trial is complete you can visit our Prices & Packages page on our website and select one of our memberships to continue and receive the benefits of being a full member. Those who complete the 2 day free trial and who would like to continue will receive 20% Discount off our most popular 6 Month Membership.